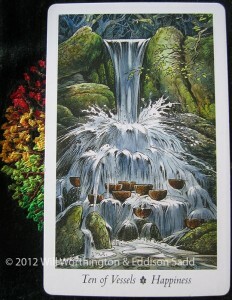 Today, after a disastrous end to yesterday, we have the Ten of Cups come out and join us. I hope that I’m seeing the “good side” of this card and not its “shadow side”! Every card has a “light” and a “shadow”. The shadow side is not necessarily the “Dark Side” that Vader followed, but more of the “cautionary” side that we all have. 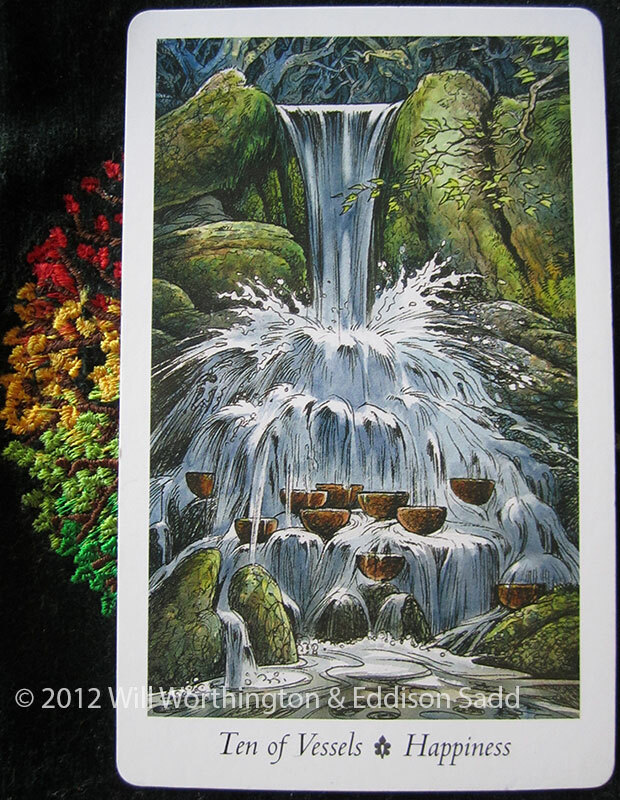 Each card has two sides of a story to tell, the same way a coin has two sides: heads and tail. Light and dark. Yin and yang. Male and female. One simply cannot exist without the other. There’s also the thoughts that things will work out, in the end, as they’re meant to and that I am just to relax and let things flow, since I’ve no chance of stopping them from happening. So today, I ought to be happy with the results, whatever they may be. In 24 hours, I’ll be wondering what the fuss and worrying was about, probably, but until the light dawns, until the emotions have finished washing over me, I’ll worry, quietly. It is part of who I am.